Wow! Really nice! 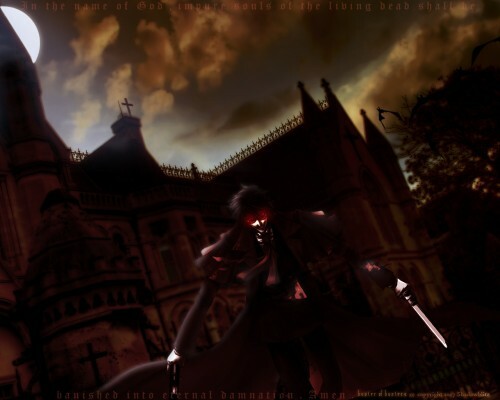 I love the dark colors and Alucard looks like he's out to kill. Great picture. I love the glowing red eyes they just scream "I'm going to kill you" lol. This is a very nice wall paper! I like all the re-touching you did to it. It definitely has a nice feel to it. I just wish it was in a larger resolution and wide screen format!